The seas and oceans continue to hide great mysteries and curiosities that we still do not know, but there are also many others that we can enjoy. Some are still an enigma, others have an explanation but they are all fascinating. It is located in the southwest of the Indian Ocean, 900 kilometers from the eastern shores of Madagascar. 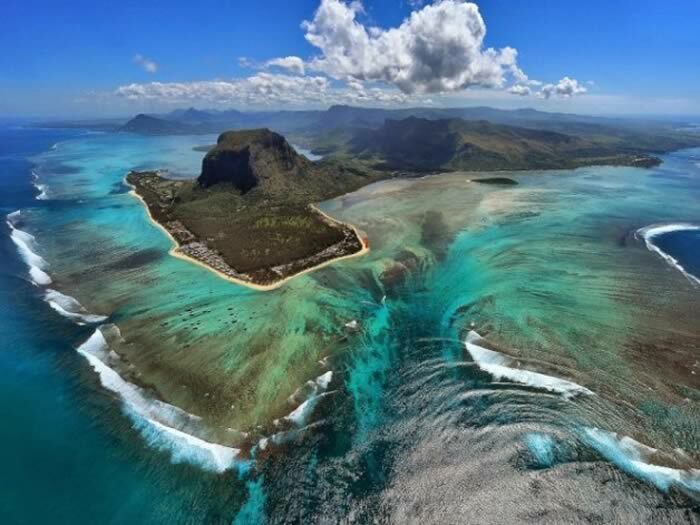 This phenomenon is due to the underwater vegetation formed by a great barrier of coral and the way the currents circulate under water, this generates an optical effect and the illusion of a huge fall of water under the sea. 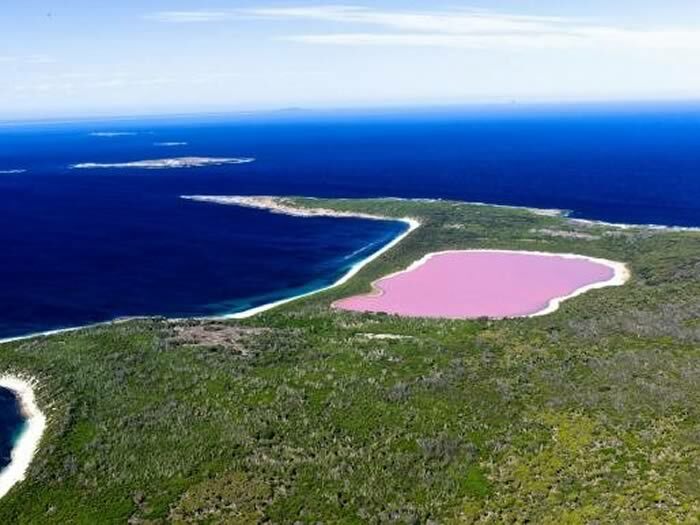 Lake Hillier is a pink lake on Middle Island. The lake is about 600 meters long and is surrounded by a sandy edge and a leafy forest of paper bark and eucalyptus trees. Scientists speculate that the color comes from a pigment created by bacteria living in the crust of salt. Under the green hills of Waitomo, lies a labyrinth of caves, chasms and underground rivers.The name comes from the Maori words "wai" (water) and "tomo" (hole). 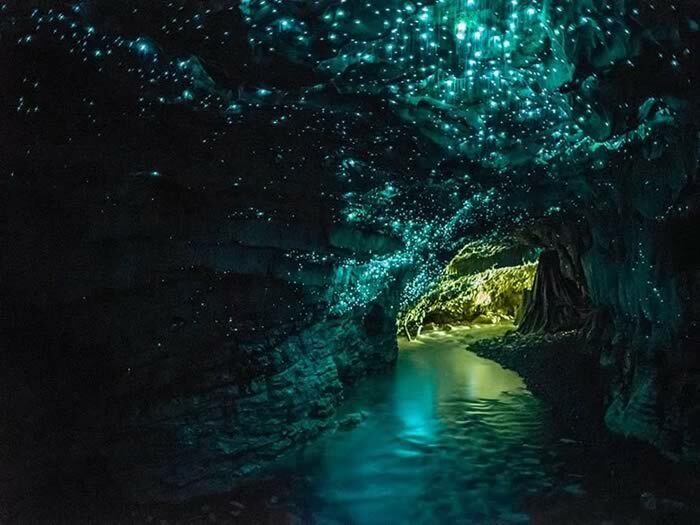 Its main attraction apart from its natural beauty, is the tenant who lives in this cave, nothing more and nothing less than a mosquito the "Glowworm". The Glowworm is the common name given to several types of larval insects that shine through bioluminescence. 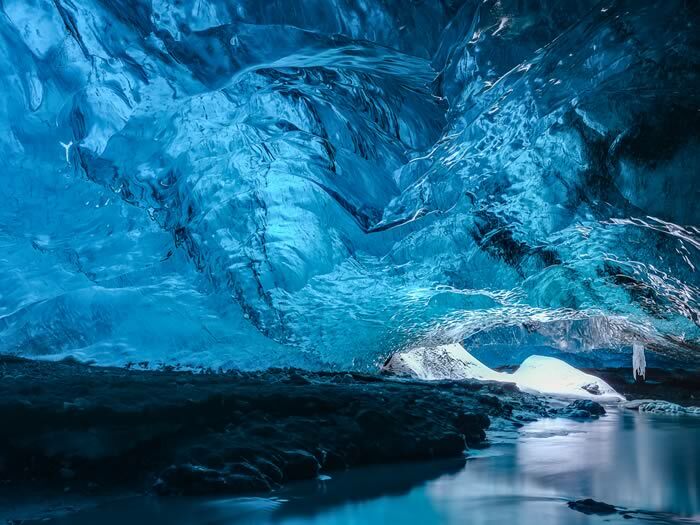 The Skaftafell cave is located in a glacial lagoon, located in the south of Iceland, the ice is centuries old. What makes these Ice Caves so striking is their predominantly intense blue color , because their layers are highly compressed and have virtually no air bubbles stored.The caves are located under the Svínafellsjökull glacier, and can only be visited in the winter months. 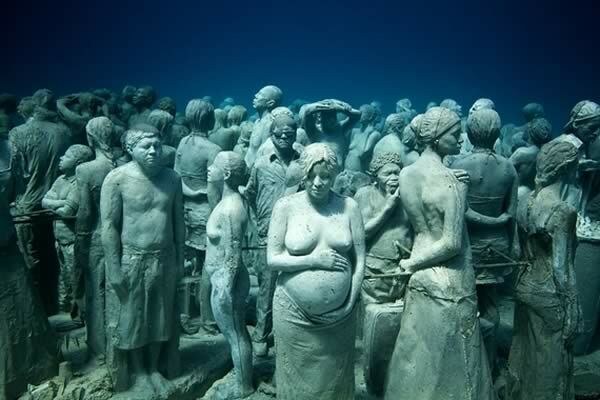 The sculptures were made by British artist Jason deCaires Taylor , they are located on the small island of women. These sculptures cover an area of ​​about 800 meters and favor the colonization of marine life since a type of cement was used that attracts and encourages the growth of coral on the works. The molds for these works were taken from characters from all over the world, covering all age ranges and social strata. 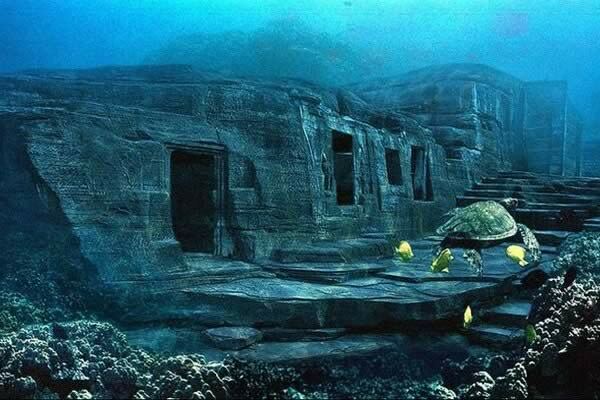 It is a structure of 120 m. long, 40 m. wide and 20 m. The main structure has almost straight angles and well-defined edges or corners that can hardly be considered natural and are found along 5 km of the south coast of Yonaguni. These ruins are to be classified as the "oldest building in the world". In fact, it has the shape of a Ziggurat, and geologically it could be dated around 8,000 BC. 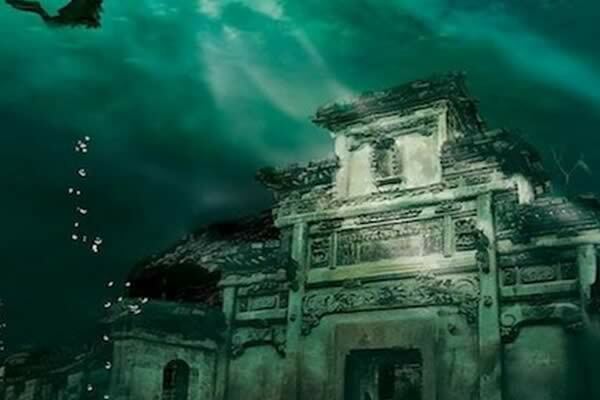 Also called "León City" it is submerged to a depth between 26 and 40 meters in the beautiful Lake of the Thousand Islands - Qiandao Lake - León City occupies a space of almost 62 soccer fields. The Valley was flooded in 1959 to create the lake for the Xinan River Dam Project. 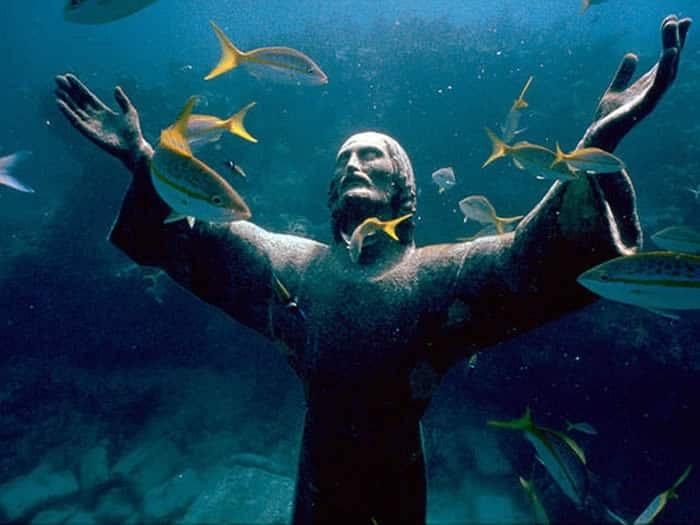 The statue, 2.50 meters high, was built by the sculptor Guido Galletti by order of the diver Duilio Marcante. The work was in honor of his friend Dario Gonzatti , one of the first Italian divers who died during a dive with Duilio. It is a piece of bronze from contributions made by sailors and divers, (medals, propellers of American submarines and bells of boats). It was installed by the Italian Navy in 1954 at 17 meters deep. 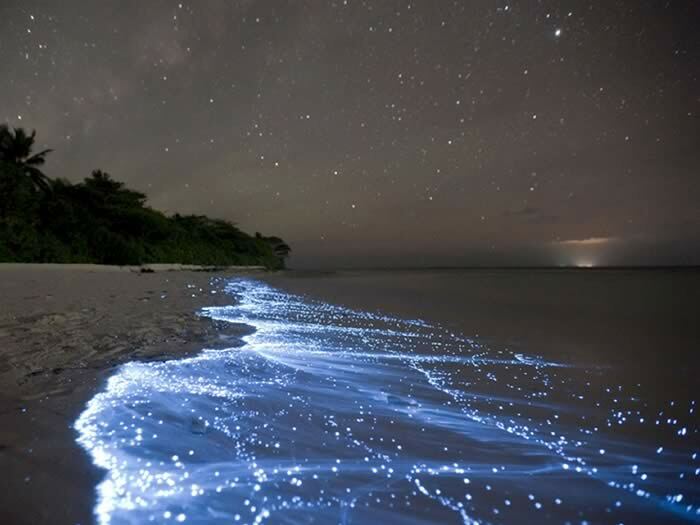 On Vaadhoo beach, a paradisiacal spot, every night a unique bioluminescence show known as the "sea of ​​stars" takes place. The Vaadhoo beach shines in the dark due to phytoplankton of plant origin that responds in this way when it is moved by the sea, thus coming into contact with oxygen. 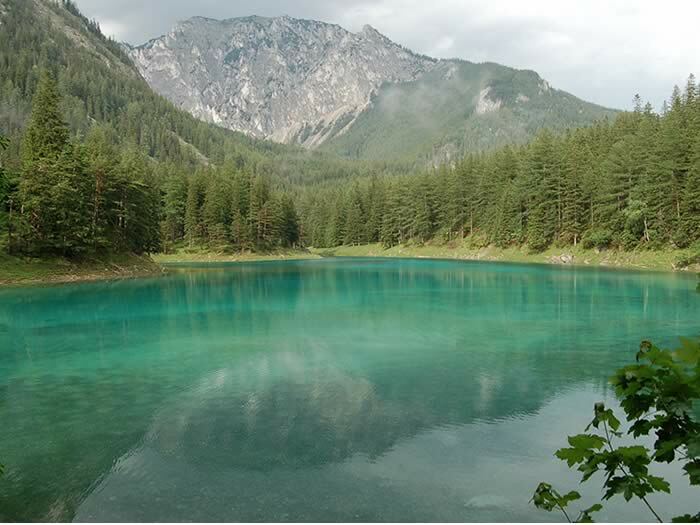 It is a park that every spring turns into a lake due to the accumulation of melt water. However, in winter, the park "Grüner See" (as it is called in German), is a beautiful park surrounded by trees where you can fully enjoy nature. 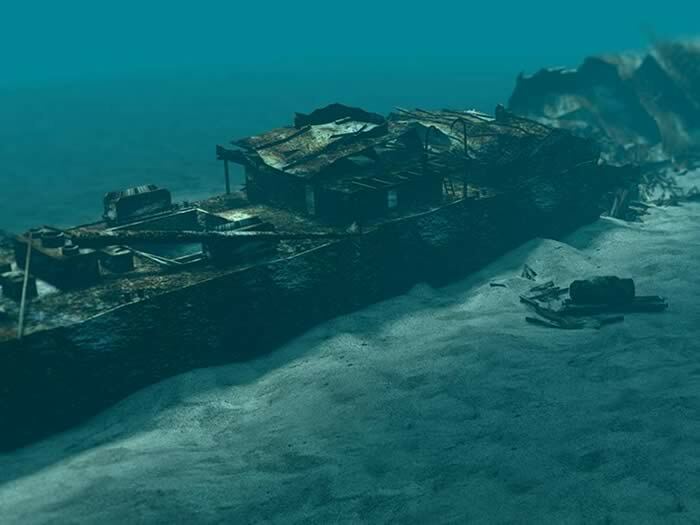 In 1941, two bombs sank this armed British ship, in the Red Sea, near Sharm el-Sheikh, in Egypt. It still retains most of its cargo on board, such as a fleet of Bedford trucks and another Norton 16H motorcycle.